Semiya Payasam is a Simple and Easy South Indian Payasam Recipe made with Vermicilli Roasted in Ghee, and simmered with Milk and Sweetened with Sugar,garnished with Cashews and raisins. Made during Festive occasions like Tamil and Telugu Newyear, Onam Sandhya,deepavali,krishna Jayanthi and also if Guest Arrives our home. Heat the Ghee in a pan/kadai(thick bottomed) , when it is hot add Cashews suate till it turns lightly golden brown colour, then add raisins , when raisins pops remove both of it from pan. In a same pan, add Semiya/Vermicilli and roast till it turns golden brown colour, and you get good smell of semiya. Add 1 cup of water to it. Let it cook for 4- 5 minutes, till it is soft.Then add sugar mix well. Then add 2 cups of evaporated milk and when it boiled once, switch off the flame. Once it cools down, it becomes thicker and creamy. Finally Garnish with Cashews and Raisins. Adding Elachi is optional, you could crush one elachi and add it, after adding milk. For richer version add 3 tbsp of condensed milk to it. You can have it hot or cold depending on your taste buds. 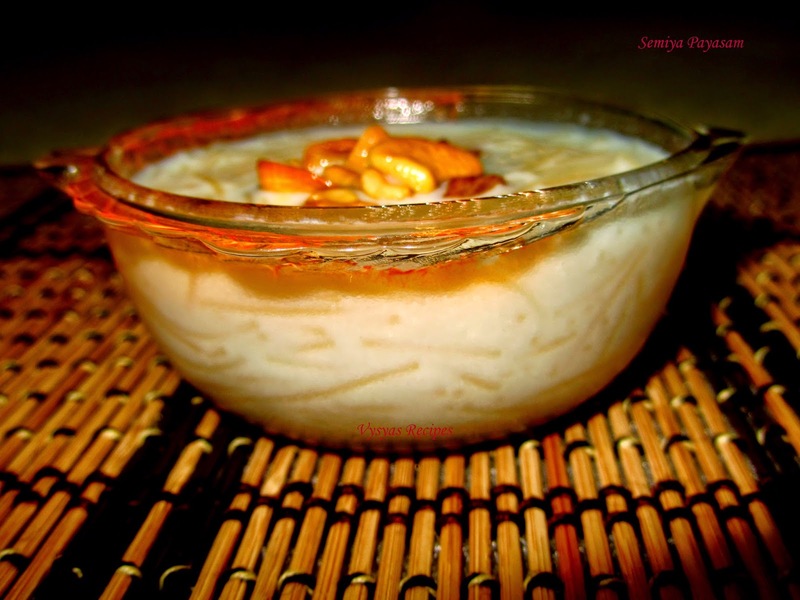 yummy semiya payasam!! all time fav!! My family fav dessert..... Looks so creamy!! 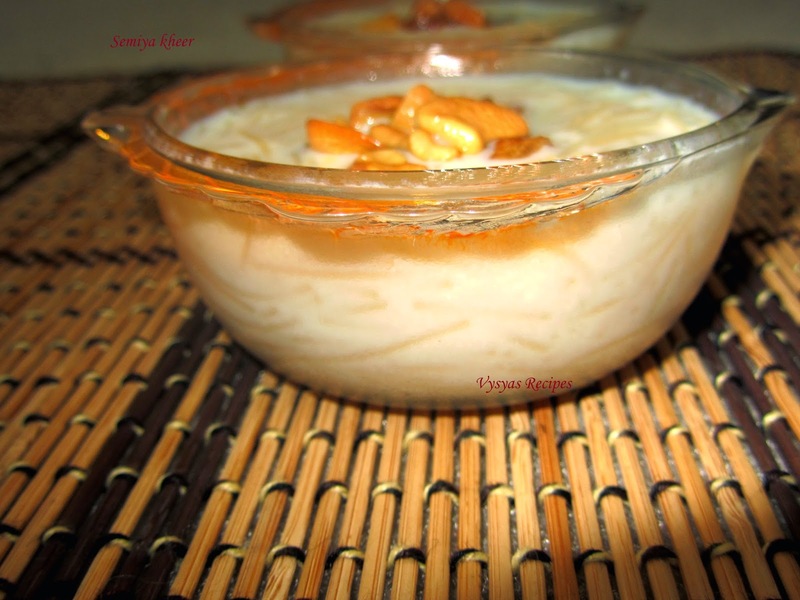 My fav Payasam.. All time fav recipe..